Catherine is currently the Executive Director at Mi’kmaq Maliseet Aboriginal Fisheries Management Association in New Richmond, Québec. 5) Document aboriginal Traditional Knowledge to complement our knowledge of Dall sheep, grizzly bear and wolf interactions. The Richardson Mountains are home to a rich variety of wildlife species and possess a high cultural, conservation, and hunting value for northern people. 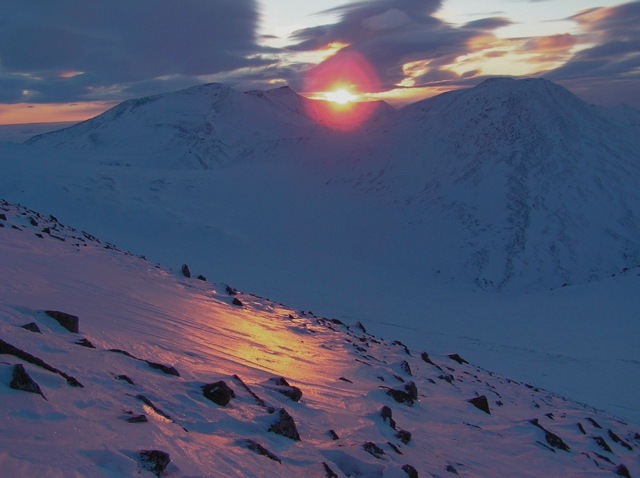 The study area encompasses about 3,000 km2 and lies in the northern Richardson Mountains (67º 30′ – 68º 30′ N, 135º 30′ – 137º W), at the northwest corner of the Gwich’in Settlement Area, adjacent to the Yukon border (fig. 1). This mountainous region is characterized by 1,250 m peaks and plateaus, interspersed with 300 m valleys. Large mammals in the study area include Dall sheep, Porcupine caribou, moose, muskoxen (Ovibos moschatus), grizzly bears, wolves, lynxes (Lynx canadensis), red foxes (Vulpes vulpes), and wolverines (Gulo gulo). Golden eagles (Aquila chrysaetos) are seasonally present in the area and may predate on sheep. Subsistence harvest of Dall sheep and wolves occurs on both sides of the Yukon and Northwest Territories border, but no resident or non-resident hunting of sheep is permitted at this time. Grizzly bear harvest in the Richardson Mountains is restricted to a triennial quota of 12 bears in the Gwich’in Settlement Area (Grizzly Bear Management Agreement in the Gwich’in Settlement Area 2000) and 12 bears in the Inuvialuit Settlement Region (Inuvialuit Game Council, Hunters and Trappers Committee, personal comm.). Although the area is presently relatively pristine, forthcoming oil and gas development in the adjacent Mackenzie Valley may leave a heavy footprint (Holroyd and Retzer 2005). Additionally, the Arctic is among the most impacted biomes by climate change (ACIA 2005, Walther et al. 2002), and a rapid warming will likely influence abundance and composition of vegetation, wildlife, and diseases. The Richardson Mountains are therefore likely to undergo significant changes in the future. Various research techniques were integrated to answer the objectives of this multidisciplinary project. The impact of predation on the Dall sheep population was assessed from ground observations, transects, kill sites investigation, and monitoring of individuals equipped with GPS collars. 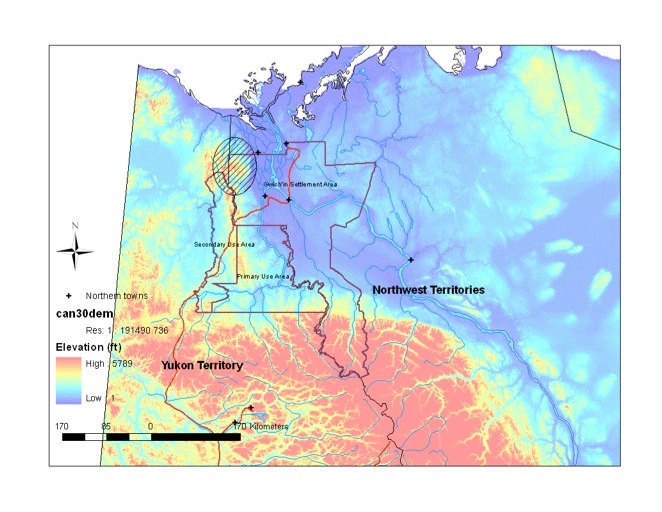 Prey selection of grizzly bears and wolves was determined based on fatty acid signatures and stable isotopes analyses from body samples collected during capture and from harvesters, in partnership with the NWT government. Spatial interactions and resource selection were studied by equipping individuals from the three species with GPS collars that collect location data at regular intervals. A characterization of the snow layer, the climate (temperature, humidity and winds) and vegetation was done to assist in resource selection analysis. Dall sheep behaviour was observed from the ground during two field sessions, in June 2007 and 2008. Finally, aboriginal traditional knowledge was documented from Gwich’in elders and active land users.